Will Melissa McCarthy return for “Gilmore Girls”? 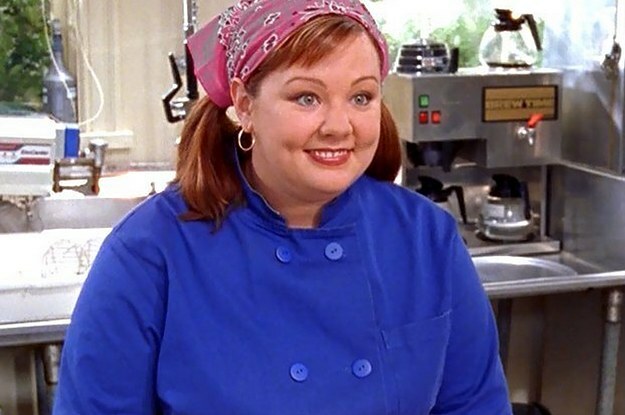 Now that the Gilmore Girls revival is officially happening, one of the main questions still up in the air is if original co-star Melissa McCarthy will return as Sookie St. James. Back at the ATX Festival in June McCarthy wasn’t discussed much, and it didn’t seem like she would return with her prospering movie career. One of the other issues was that if she wasn’t filming a movie, she would’ve been filming her sitcom Mike & Molly. However, CBS has announced recently that it has canceled the series, effectively freeing McCarthy up in between her movie filming. One of the benefits of the Netflix continuation is that it is only four 90-minute episodes, which would be a very small time commitment on McCarthy’s end. While her schedule has opened up with the cancellation of Mike & Molly, timing will really be the key factor here. McCarthy has Ghostbusters filming right now, as well as promoting her upcoming film The Boss, which is due out in April. Some fans want every single former character back on the revival (which can’t happen since Edward Hermann recently passed away), but others worry that even bringing McCarthy back in a limited role might overshadow Lauren Graham or Alexis Bledel, since her star power is a lot bigger at the moment. So far alongside Graham and Bledel, Kelly Bishop, Scott Patterson, Keiko Agena, and Sean Gunn have all signed on to reprise their roles with others working on contract negotiations as we speak. Neither McCarthy, creator Amy Sherman-Palladino, or any of the other stars of the series have currently weighted in on McCarthy’s possible return. What do you guys think? Do you want McCarthy to return to the show that gave her her big break? Or do you think she’d overshadow the whole production? Vote and sound off below! Movie Review – “Room” (2015) – Oh hai, Room!